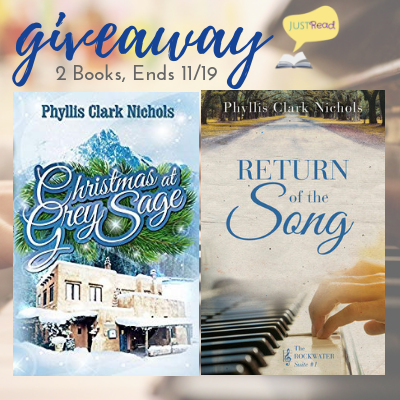 Hi friends, Welcome to the Blog Tour & Giveaway for Return of the Song by Phyllis Clark Nichols, hosted by JustRead Publicity Tours! 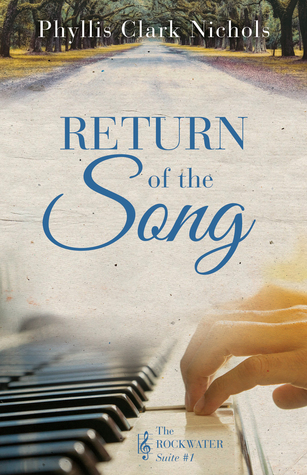 Today I’ll be sharing my book review for Return of the Song as well as some info about the book and a giveaway! I really enjoyed Caroline. She was still processing the grief of losing her fiance even though it’s been years. She has a passion for the piano, both playing it and teaching others how to play and I loved that. I myself love to play the piano and it’s always fun to read a book when the main character has similar passions to you! There was a bit of a mystery (actually 2) threaded throughout this book. First, one day Caroline is at home and someone starts playing her piano, but runs away before she can see them! What? I’d be freaked out if someone was in my house playing the piano, but this made me want to keep reading because I wanted to know who had been in her home (and playing a song that only Caroline knew!) There was another mystery about who had the childhood piano that Caroline played and the man who had purchased it. She’d love to play it again but he doesn’t want to sell, but it was interesting to see it all play out! The pacing was pretty slow and I skimmed a bit of the middle just because I wanted to find out what happened, but there just seemed to be a lot of dialogue in the middle that didn’t seem to move the plot forward. But, even though it was slow I really loved the last 100 pages or so. This is the first book in a series and I can see now that a lot of the beginning and middle were leading up to the next book. I did wish there had been a little more to happen in the first half, but I really liked the ending and it made me excited for the next book. Overall I did enjoy Return of the Song and I liked the ending and the little bit of romance that was in the book! I gave Return of the Song 3.5/5 stars. I received a copy of Return of the Song from JustReads Tours and the publisher in exchange for an honest review, all opinions are my own.